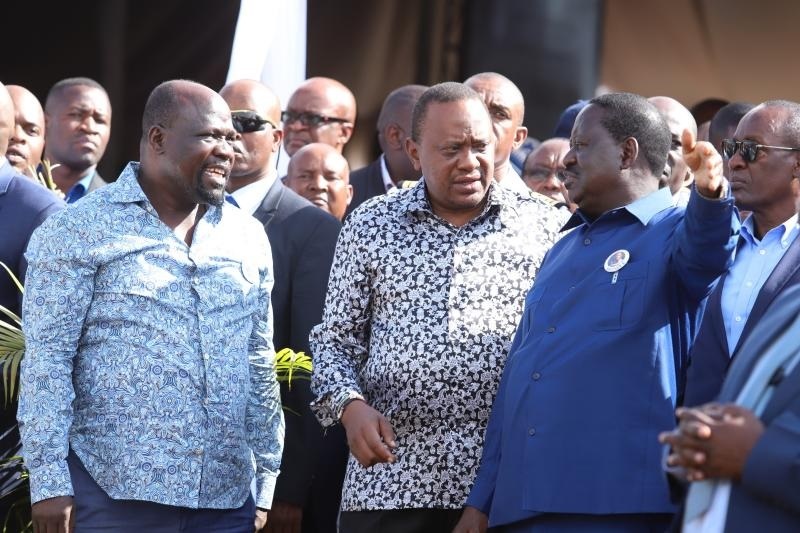 Tuesday March 26, 2019 - Former Prime Minister Raila Odinga could be planning to replace William Ruto as President Uhuru Kenyatta’s deputy once the DP is impeached for gross misconduct. This was revealed by 16 MPs allied to Ruto who have alleged that the planned impeachment of the DP is only a plot to have the AU envoy as Uhuru’s deputy. The MPs made these remarks on Tuesday at a presser held in Parliament amid claims by Senate Minority Leader, James Orengo, that legislators will impeach Ruto soon. Orengo said that he will mobilize legislators both from Jubilee and NASA to support an impeachment motion against the DP for “gross misconduct”. He accused DP Ruto of refusing to resign in the wake of corruption allegations against him. However, none of these claims against Dr Ruto have been proven in court or elsewhere and neither has there been any official communication that he is under any investigation. It is now a question of wait and see how the whole thing plays out.